When people talk about guitars, the first thing that comes to mind in most cases is your standard acoustic guitar. If that is not the case, that person is most likely thinking about a cool Strat looking electric. However, guitars, in general, come in a whole lot of different forms. Today we are going to mention and accurately define each of the main guitar types. Along the way, we will discuss what makes each type specific and what you can expect to get sound wise. You have probably heard about most of these, but chances are that a few guitar types we are about to list are going to be a surprise. With that said, let's dig right in. Before we can cover any other type of this instruments, we have to go to the very roots. Acoustic guitars, much like other acoustic instruments, have been around for hundreds of years. What started out as a rather simple instrument has grown in complexity to a point where making one is equal parts art and skill. An acoustic guitar uses its large sound box to produce sound. Size, shape, and build of the sound box will dictate what kind of tone the guitar will have. You have probably seen numerous discussions on the topic of wood and its impact on tone. That is because different wood has different tonal attributes. Some are harder than the other, while some are soft. Each has its own benefits. Acoustic guitars also come in different shapes. From small, travel acoustic guitars, to full on jumbos. Aside from the Dreadnought, which has a very distinct shape, you could say that every other type of acoustic guitar uses a very similar shape that is only scaled up or down. The quality of any given acoustic guitar is determined by its build and materials used. There are mass produced models out there, which use sub-par artificial materials. On the other hand, you have handmade acoustic guitars that are a result of someone's lifelong dedication to building guitars. These will also be built using high-quality tonewood. Classical guitars are a type of acoustic guitars. The main difference between them is the type of strings they use. Your average acoustic guitar is going to come with a set of steel strings while classical guitars use nylon strings. This, however, is not the only difference. Classical guitars have a much more organic sound and wider neck. By design, classical acoustic guitars are much closer to what these instruments looked and sounded like centuries ago. You will see this type of guitar being used in classical music, flamenco and a number of Spanish styles. On a similar note, classical guitarists prefer to use their fingers to pluck the string and generally avoid picks. That is definitely not the case with steel string acoustics. One of the more recent evolutions of this incredible instrument is the electric guitar. Very first electric guitars appeared in the early 1910s while first commercial models followed a couple of decades later. If you look at the history of this instrument, you will find that their design went gradually from acoustic to solid body models. Arch top electrics are still a thing, with their semi-hollow or hollow body, but are generally used less frequently these days. An electric guitar produces tone using magnetic pickups. Each pickup comes with a number of magnets that pick up the tone (hence the name) from the strings, and deliver to the amp via guitar's internal circuitry. In the past, pickups were exclusively passive. In other words, they were only capable of detecting vibrations of the strings and translating that into a passive signal. Since a few decades ago, active pickups became available and extremely popular. The main difference with this type of pickup lies within its capability to significantly boost the signal before it ever reaches the amplifier. On top of that, most active circuits come with built in equalizers, which means that you can do a great deal of tone shaping at its very source. The number of strings is another aspect that changed over time. A standard electric guitar will come with six strings - a configuration that has been around for a long time. However, you will often see guitars with more than six strings. Seven string guitars have become especially popular these days due to their lower B string and its application in various genres of metal. Finding the upper limit when it comes to the number of strings is still hard to define. Twelve-string guitars are not that uncommon, while many luthiers experiment with a number that is much higher than that. The most important aspect of this improvement of guitars is amplification. No longer was the user limited to the volume their instrument was physically capable of generating. Naturally, it didn't take long before people started exploring different ways they could enhance or modify the tone. The first guitar effects were born soon after, and the result is what we have today. As someone playing an electric guitar, you are capable of impacting the tone of said guitar in a wide spectrum of ways. Electric guitars have changed the way we see experience music from the ground up. The fact that electric guitars solved many issues that the initial design had, doesn't mean that they covered the whole spectrum of demands modern musicians have. 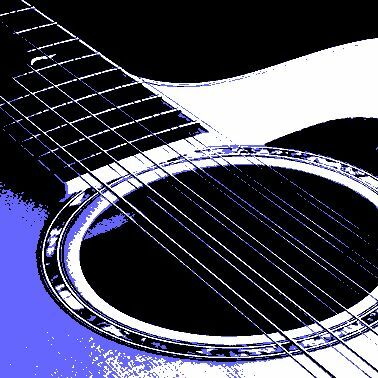 For some, the sound of an acoustic guitar is, and always will be the only way. Since all acoustic guitars aside from classical ones, use steel strings, you could apply the same pickup technology on this old design. The result is - acoustic guitars which sound every bit as well as any other acoustics, but which you can amplify just like an electric guitar. Before then, if you wanted to amplify the tone of your acoustic guitar, you had to mic it up the old fashioned way. While this method definitely works, having a dedicated pickup in your acoustic guitar makes life so much easier. On top of that, it delivers a much more refined rendering of your instrument's natural tone. Acoustic-electric guitars are generally used by performing musicians who play genres of music where this instrument is essential. One great thing about acoustic-electric guitars is that you can often plug them in directly into the PA system. This way you bypass the necessity for an amplifier. In this case, tone shaping is done using the EQ cluster on the guitar itself. Most acoustic-electric guitars will have one, which makes them highly versatile. Stringed instruments always came in a number of tonal categories. Ever since first acoustic stringed instruments appeared, you had those designed to produce higher pitched tones and those dwelling in the lower end of the spectrum. Because of that, it is only fair to say that modern bass guitars have very deep roots, much like electric guitars. Interestingly enough, the role of a bass guitar hasn't changed much over time. Its main purpose is still to provide a solid foundation upon which the rest of the band can build upon. Modern bass guitars are almost always electric. They work more or less using the same principles as electric guitars. In other words, a set of steel strings strung over pickups. Bass guitar pickups also come in passive and active versions. For the most part, it is the same deal like we've mentioned in the electric guitar segment. The tone of electric bass guitars can be altered either using various effect pedals or whatever is available on the amp. With that said, most bass players avoid altering the nature of their tone. Among the more exotic bass guitars, you will find fretless models. These bass guitars draw a similarity with acoustic basses. No matter how different they are in nature, both of these lack frets on the fretboard. As you can expect, playing a fretless bass is much harder than playing a regular one. You will generally see only experienced players even consider playing a fretless bass guitar. Everything we have covered so far is more or less common knowledge. Now it is time to dwell into some guitars that aren't that widely known. Steel guitars, or lap steel guitars as they are often called, are a completely different kind of animal. First significant change you will notice comes in form of how these instruments are played. Instead of using it like you would a regular guitar, a steel guitar is played horizontally. You can either lay it on your lap or place it on a flat surface of any kind. The idea behind a steel guitar is to pluck the strings using one hand, just like you would a regular guitar, but the pitch is altered using a slide. A slide can be anything from a glass or steel tube to a metal bar. As you can imagine, playing chords on this instrument might be a tall order. Developed in Hawaii at the end of 19th century, steel guitars are still being used in a variety of music genres. It is also worth mentioning that using a slide is a legitimate technique that you can use on just about any steel-stringed guitar. This becomes even more apparent if you look at certain genres of blues. The final category of guitars we want to cover are the exotics. While this might be a bit of a broad term, it perfectly describes what these instruments are all about. Some of the most common examples of an exotic guitar are the double neck models. As their name states, these guitars have two necks positioned one above the other. Due to the complexity of their design, you will generally only see electric double neck guitars. If you are wondering what could possibly be the reason for someone to use an instrument such as this one, there are few viable answers. Some simply like the shock value. If you look into the late '70s, early '80s and part of the '90s, you will see many legendary guitarists using double neck guitars at one point or another. A more important reason is purely practical. When you have two necks, with two sets of strings, you can have two different tunings available at any given moment. This way you don't have to change guitars between songs if they are in a different key. While cool in appearance, double-neck guitars are all but relics from the past. Other exotic guitars are mostly defined by their weird design. After they reach a certain level of skill and experience, some luthiers make it their goal to push guitars as an instrument to the limit. Some succeed, some don't. One famous artist who was known for using weird guitars is Prince. Some of his better-known axes were pretty outrageous one-time pieces made by master luthiers from around the world. The story of a guitar as an instrument is definitely an exciting one. With its very modest beginnings, the guitar has grown from an average musical instrument to the absolute master of modern music. As such, it is not at all surprising that there are numerous variations of it out there today. The types of guitars we have listed above are the easiest and most standard way to classify various versions of this instrument. There are much more out there, each with its own unique nature. With that said, one thing hasn't really changed much and that is the way a guitar sounds. No matter how different an electric bass is compared to a steel guitar, they still share that core tone that you can instantly recognize. If you think we have explored guitars completely, you are mistaken. With technology rapidly evolving, chances are that we are going to see many more exciting variations of this instrument All we can do is wait and see. Austin Consordini loves music, and his range of interests includes violin and guitar playing. He also plays the drums when it's a necessity to express strong emotions. Music for Consordini is like medicine, helping him not only to develop and expand his musical skills but also to treat his mind and body.